One of the easiest ways to quickly jazz up an outfit is a hat! I think it's worth mentioning that I'm typically not much of a hat girl because I actually have a really big head. Seriously, sometimes my neck gets sore. So I'm always embarrassed when the L-XL (or the dreaded "one size fits all") won't even come close to fitting me. But this amazing J.Crew number is a size small - so obviously I would have bought it even if I hated it. I think this hat is my new spring staple, I'm loving it and have already worn it a bunch since picking it up a few weeks ago! 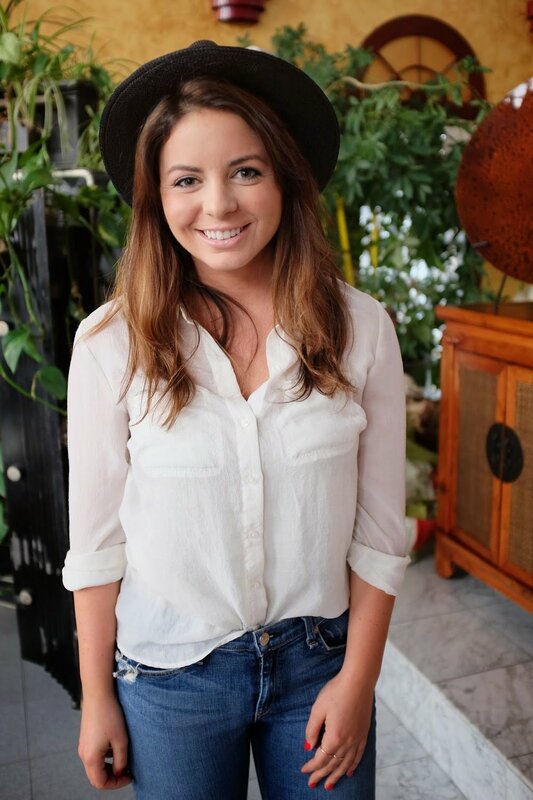 It's amazing how a hat can turn a simple outfit into a chic one! Also, they can hide a bad hair day!